Lately, I have to deal with some wordpress based installs in big part of my working time. One of the wordpress sites needed to have added a multi language support. 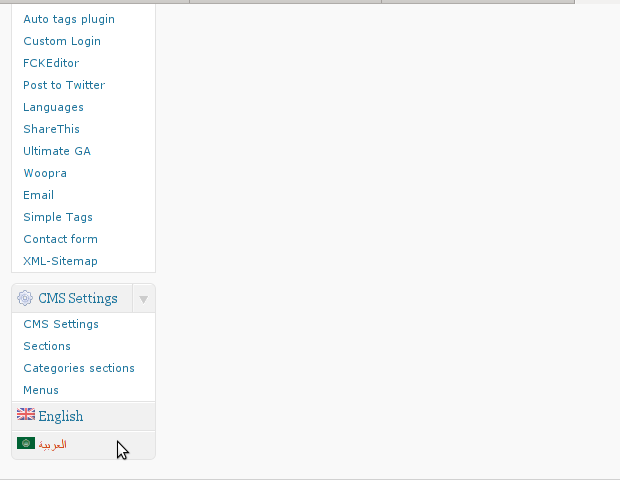 After activating the plugin, there is a Settings button from which qTranslate‘s various plugin parameteres can be tuned. In my case my site had to support both English and Arabic, so from the settings I added support for Arabic translation to the wordpress install. a. From the Language Management (qTranslate Configuration) from the Languages menu and the Languages (Add Languages) I had to choose a language code (in my case a language code of ar – for Arabic). Next I had to choose the Arabic flag from the follow up flag list. The following Date Format and Time Format text boxes are optional so I left them blank. To complete the process of adding the Arabic as a new language wordpress should support I pressed the Add Language button and the Arabic got added as a second language. In widgets I added qTranslate Language Chooser to the Sidebar without putting any kind of Title for qtranslate widget . I found it most helpful to choose the Text and Image as an option on how to display the Language switching in the wp.